Smoothies are my go-to breakfasts during the summer months. When it's warm and sunny outside there's nothing better than a cold, refreshing smoothie to kick-start your day! I also love how many different flavour combinations you can come up with and the amount of goodness you can cram into a smoothie. I always make sure I get a good mixture of carbs, healthy fats and protein in the morning so ensuring my smoothie contains ingredients that'll give me all those macronutrients is very important! Protein is key! It keeps you feeling fuller for longer, it aids your body's recovery after a workout, it's energising and every function in your body relies on it. I always add a protein powder to my smoothies, it's just the most convenient way of making sure I get enough protein in there and if you get a flavoured protein it adds amazing taste too! 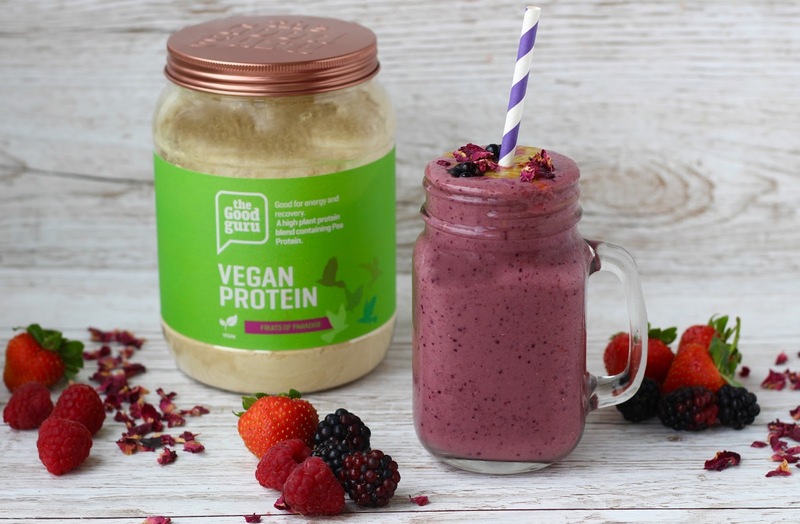 The protein I'm currently all about is the Vanilla & Wild Berries vegan protein powder from The Good Guru - it's the ultimate summer protein powder (it tastes kinda like jelly and ice cream!) and it's bursting with goodness. 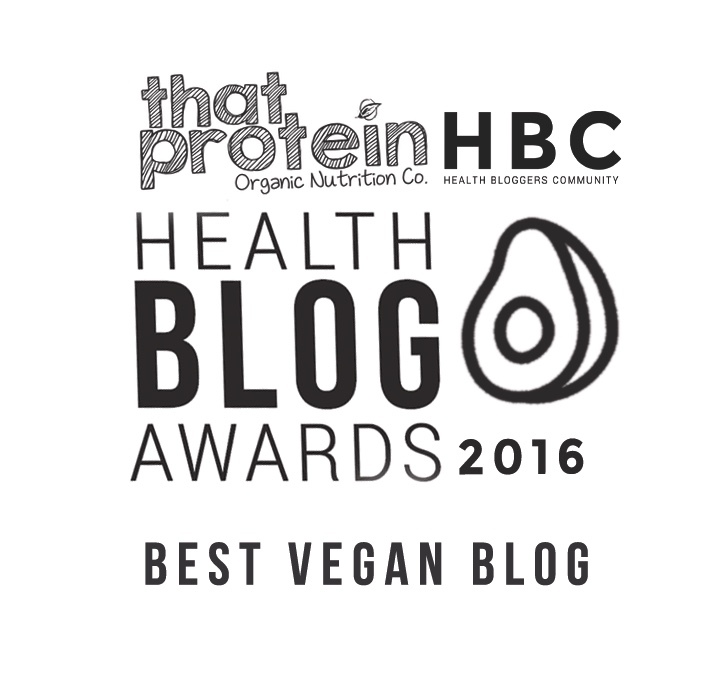 I thought I'd share with you the best smoothie recipe using this protein powder so you can all try the deliciousness too! 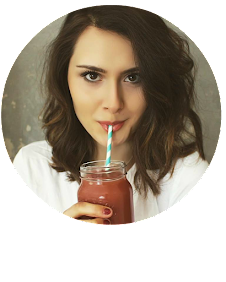 I always add this protein to smoothies with lots of berries to enhance the flavour even more and give a really fruity taste, a hit of antioxidants and of course that wonderful colour. I also add a frozen banana which really thickens this smoothie up, some oats for a slow releasing carbohydrate to keep you feeling fuller for longer and boost your energy, some almond butter for healthy fat and vitamin E, and some flaxseed for added fibre. The Good Guru Vanilla & Wild Berries Protein is made up of a mixture of pea, pumpkin seed and sunflower seed protein and flavoured with forest fruits, raspberry, strawberry and vanilla. It's such a fresh, summery tasting protein powder and I find it's super easy on digestion, blends really well into smoothies and doesn't have that earthy after taste that some vegan proteins have. 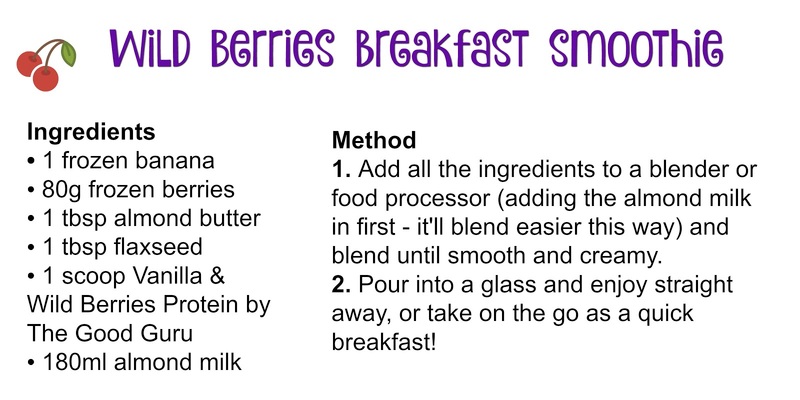 My favourite at the moment, particularly in this smoothie which you've gotta try!